Electric CinemaThe Electric Cinema in London, England. Many movie theatres are looking for new ways to enhance the theatre experience after a mediocre year at the domestic box office. 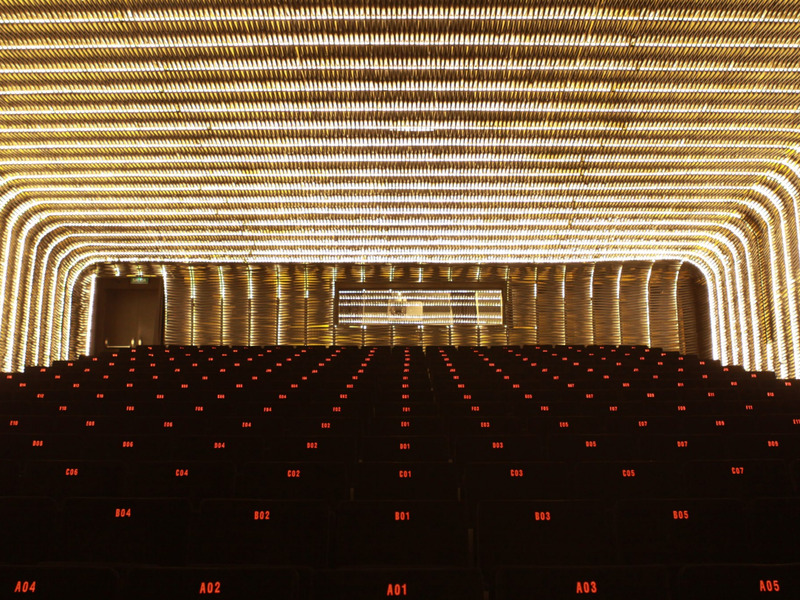 But a focus on attention to detail and the overall experience beyond just the theatre screen is something that the world’s most luxurious theatres have strived for from the beginning. 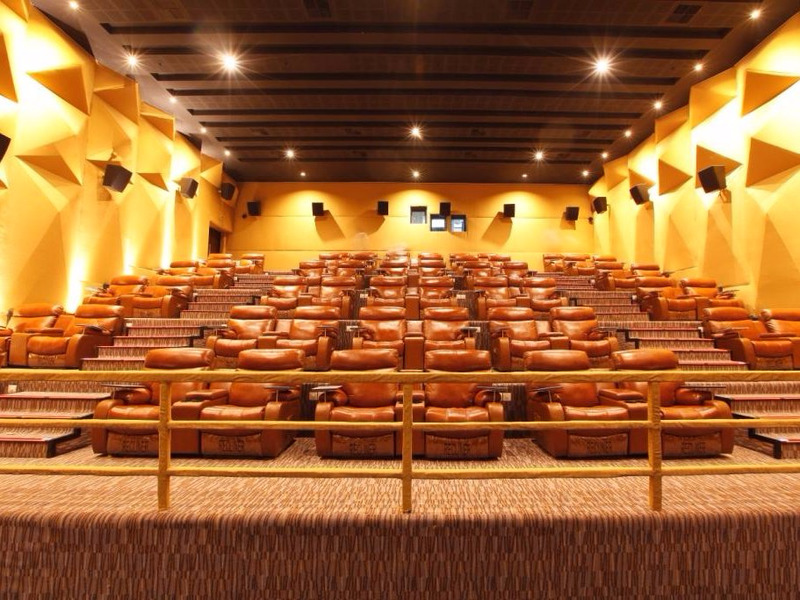 With newly placed technology that extends beyond the theatre screen and into the seating itself, movie theatres offer a range of innovations on the age-old theatre-going experience. Beyond upgrades to the projectors themselves, the most dominant trend in the evolution of modern movie theatres is the ability to order food and drinks from the comfort of your seat. 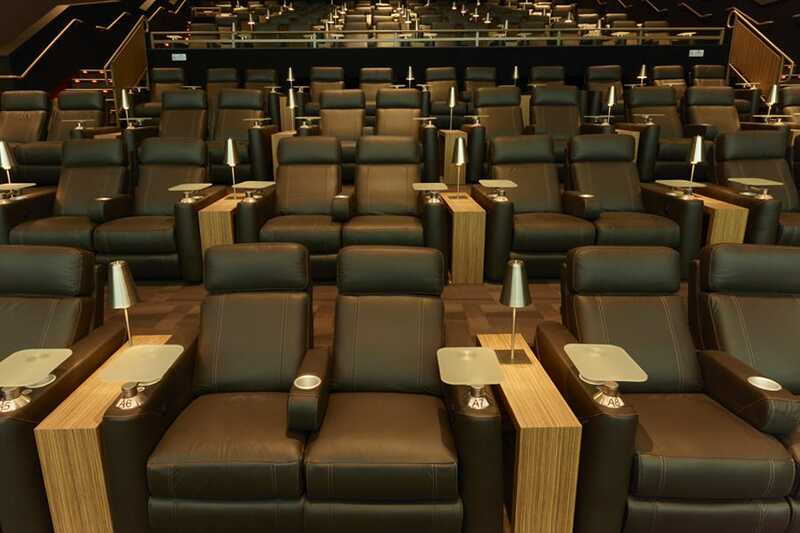 But some theatres have innovated upon that concept even further – Cinépolis Luxury Cinemas installs buttons on every seat allowing you to silently call over staff when you’re ready to order, for example. There’s even a theatre in London that gives every moviegoer a tray filled with various mystery boxes, each designed to be opened and enjoyed at specific points in the movie, containing one-bite treats and mini cocktails that connect to various elements or scenes. Others, like the Alamo Draft House, offer the luxury of not having to worry about disruptive guests, with a zero tolerance policy on talking that’s actively enforced by kicking out obnoxious guests. 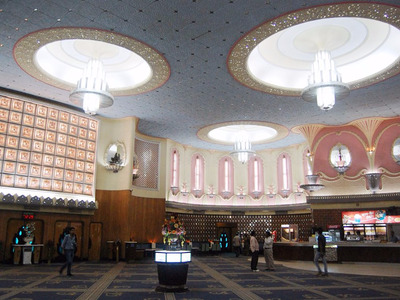 In India, one theatre pumps a floral scent through the air conditioning. With theatres competing for the best luxury amenities, moviegoers have more options than ever to choose from. Every guest at an Edible Cinema screening is given a tray filled with numbered “mystery boxes,” each containing either a bite-sized morsel, or a mini cocktail that connect to specific moments in whatever film is being screened. The Rajmandir is one of the most beautiful theatres in the world. The lobby of the Rajmandir is adorned with chandeliers, custom-made wooden tiles, and glass inlay. And to further enhance every guest’s experience at the Rajmandir, the air is scented with a floral aroma that is pumped through the air conditioning. At Nitehawk Cinema, guests can order unique and delicious cocktails, dinner, and snacks (including the signature truffle oil popcorn) while they catch the latest indie flick of their choice. At Cine de Chef, guests can sit in luxurious arm chairs while meals and drinks are brought to their table from its accompanying restaurant. Cine de Chef also has a restaurant in Seoul Korea that provides a similarly beautiful and indulgent experience. Since opening in Austin, Texas in 1997, the Alamo Drafthouse has blown up across the United States and now has 22 locations throughout the country. With comfortable seating and gourmet food and drinks, the Alamo Drafthouse delivers one of the most luxurious movie-watching experiences. 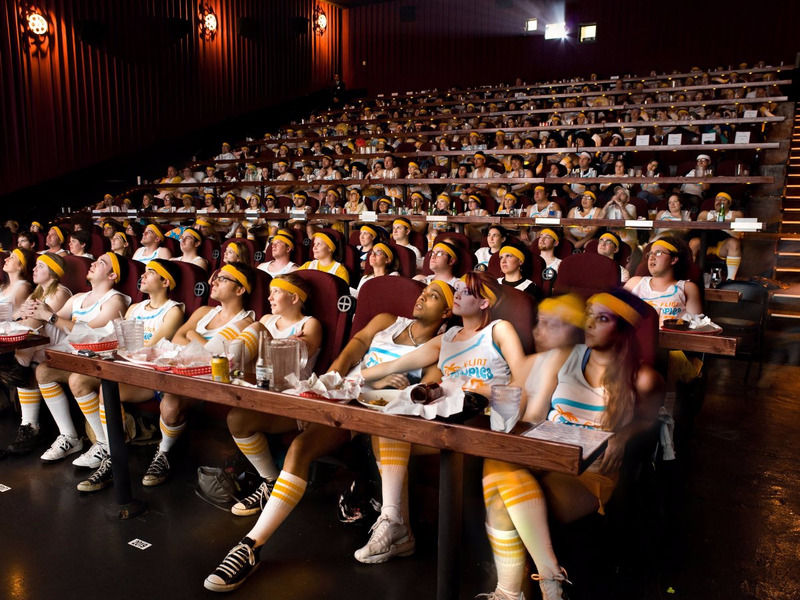 The Alamo Drafthouse also has a zero tolerance policy when it comes to talking or disrupting films, and is known for kicking distracting guests out of its theatres. The elegant and opulent Urania National Film Theatre,built in the 1800s, was originally a night club, but in 1899 converted into a theatre. 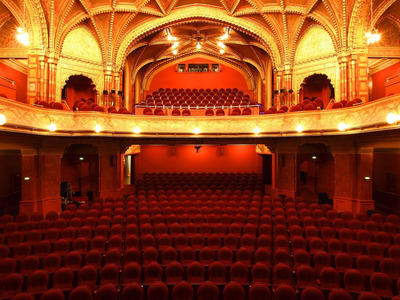 Since then, the theatre has held numerous concerts and performances, and regularly serves as a movie theatre, where film lovers can view movies in a majestic atmosphere. 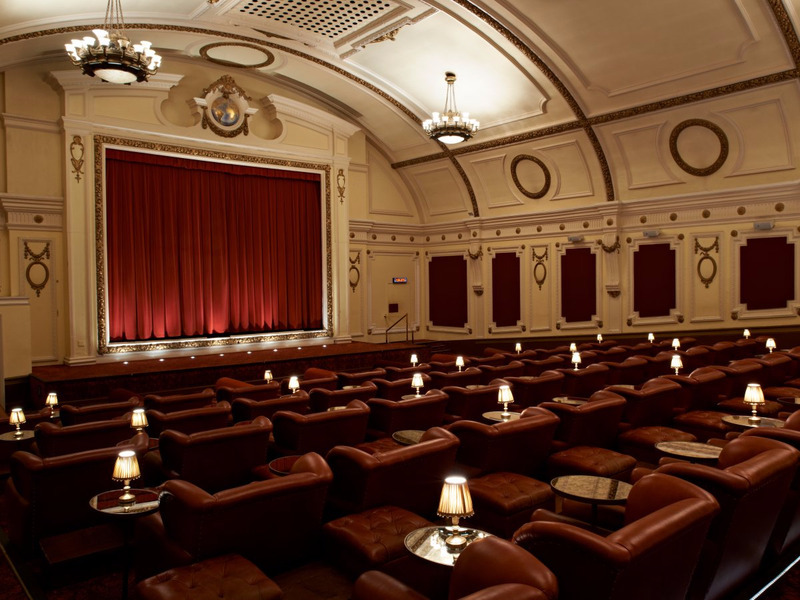 If comfort is what you seek when heading to the movies, then you’ll love the big cosy seats and beds that are available to guests at the Electric Cinema in London. Guests can also grab drinks and food at the accompanying Electric Diner. 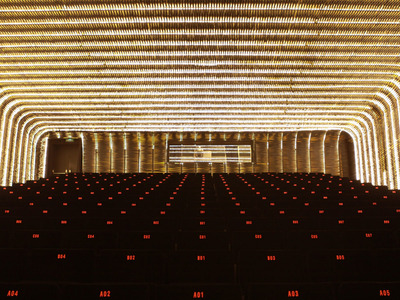 The Cineteca Matadero’s artfully designed theatre provides a lovely atmosphere for screening films. 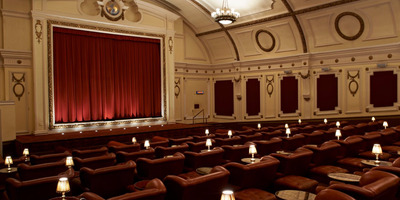 And one of the most unique things about the theatre is that it is dedicated almost entirely to the screening of documentaries and independent films. 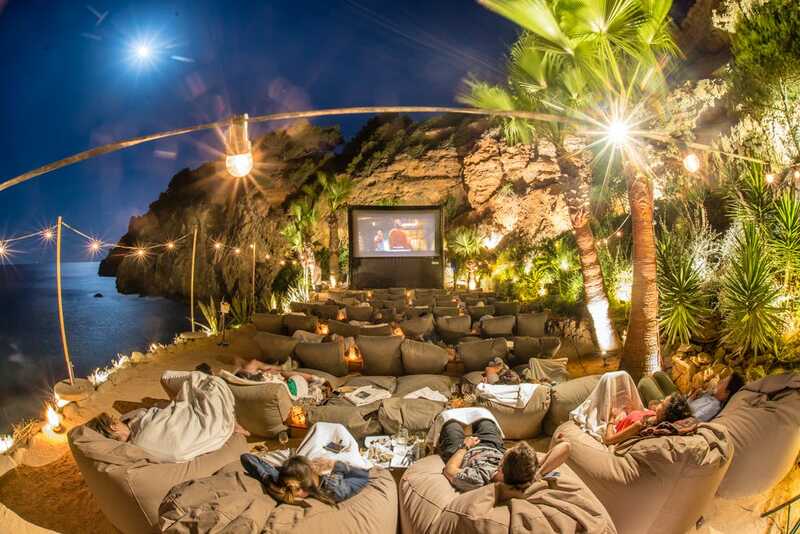 On certain nights the Amante Beach Club in Ibiza transforms into a cinema. 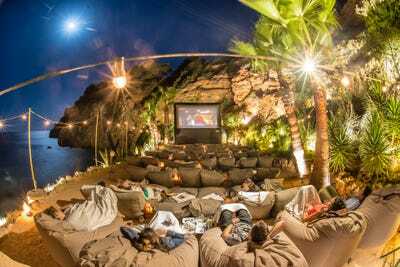 Amante offers its guests the opportunity to relax in plush full length bean bag chairs on the beach, while classic and modern movies are screened. An attentive staff also provides guests with unlimited popcorn and blankets. 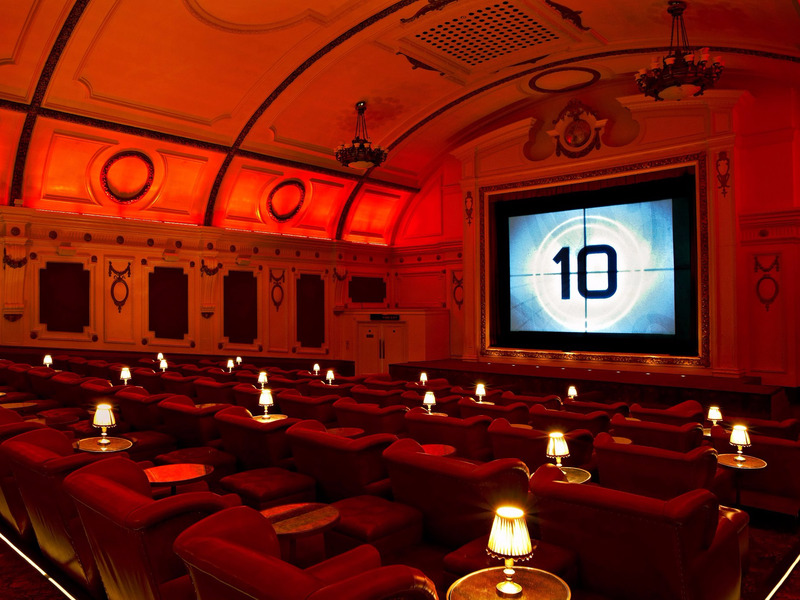 With a push of a button Cinéopolis guests can call the theatre’s staff to take their food order, while they lounge in all-leather seats that fully recline. 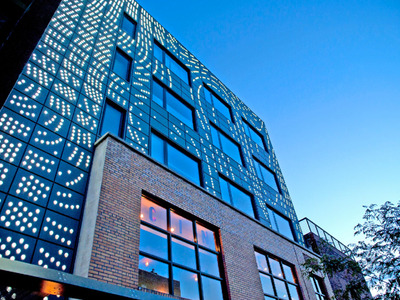 The theatre recently added a special theatre dedicated to kids that includes colourful seating, bean bag chairs, and a play area, according to NBC News.